Sipajhar College is appointing Graduate candidates for the post of junior assistant through Sipajhar College Recruitment. The office of the Principal, Sipajhar College invites applications in standard form for the recruitment of Junior Assistants. The selection will be as per the Assam College Employees. You have to apply on the standared application form before the closing date. The last date of submission of applications for Sipajhar College Darrang recruitment-Junior Assistants is 14.11.2017. Age: 43 years (as on 01.01.2017). Age relaxation and reservation is there as per the norms. Bachelor degree in Arts / Science / Commerce from a recognised University. 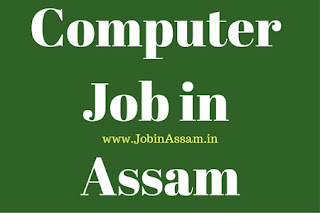 Diploma / Certificate course of at least 3 months duration in Computer Application (English & Assamese). All eligible and interested candidates have to apply in the standard application of Part-IX. The applicants should submit all required testimonials. A Bank Draft for Rs. 500/- (five hundred) has to be paid. The selection of Sipajhar College Recruitment will be done purely on merit basis. Selection will be held as per the Assam College Employees (Provincialization of Service) Rule, 2010 and Guidelines.